I was called by Radio Sawa to comment on whether journalists should throw shoes at the President. My response can be found here. that was created by the Bush administration in 2002. With studios in the Virginia suburbs of Washington DC and Dubai, it's stated aim is to provide a youth-oriented service to the region that blends news and music. Editorially, it is similar to the Voice of America, just with more pop music. And like the VOA, Sawa answers to the Board of Broadcast Governors, who are administration appointees approved and confirmed in Senate hearings. Editorially, Sawa is pro-American policy, as opposed to any and all local Arabic-language radio which usually expresses the contrary with some vehemence. Sawa, like the VOA, tried to balance its regulatory obligations to Congress with an independent and reliable news service. The management of Sawa claims that it is heard on more than 50 stations around the entire Middle East. Whether it is listened to, is another question. Sawa has had its internal editorial difficulties too. The tensions that beset the Arab and Muslim world between Sunni and Shi'ite, Kurd and Bagdhadi, Maghrebi and Cairene, Iranian and everybody else, have been prevalent inside Sawa, as with many other Middle East news organizations. Al Jazeera in particular has had some divisive issues especially among some of its Lebanese journalists who tend to reflect the cultural and ethnic divides of Beirutis. Among all Middle East broadcasters, the question of Israel looms and remains possibly the single point on which there is unanimous editorial agreement (even if, in the case of Sawa, it doesn't get much airtime) - that the occupation of Palestinian lands is to be opposed, and by any means necessary. So much for the Bush administration's neo-con reverie that a post-Saddam Iraq will be a beacon of pro-western sentiment. As for Radio Sawa, I know that even with all the complexities around journalism in the Middle East, there are people inside that organization who are trying to create a journalistic culture that is different. By different, I mean, non-ideological, non-sectarian and pro-listener. A year ago, I was approached and asked about one issue at Sawa that was proving problematic. 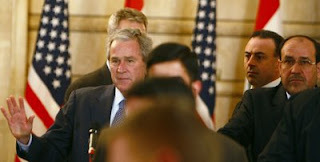 It was how its reporters inside Iraq should handle "gifts" from local and national political figures. In the West, journalists must not take "gifts." Even though "freebies" from corporations tend to appear unsolicited in newsrooms at this time of year, the rule is (or should be) not to accept them. At NPR and CBC, our rule was to thank the donor but all gifts are sent to an appropriate charity. In Iraq, it's more complicated. Would a Sawa reporter risk offending a gift-giver? What if the gift-giver is an important person? To refuse the gift would be an offense against politeness, hospitality and cultural norms. To accept the gift might mean that all reporting from that point on could be assumed to be pro-gift-giver. The Sawa manager was put in a difficult - even impossible position. If he told his reporters to refuse the gifts, they could be seen as outsiders, even enemies. If he allowed the reporters to take the gift, it would compromise Radio Sawa's concerted efforts at journalistic independence and integrity. My response was to suggest that the gift-giver be informed that in America, journalists don't accept gifts. But if there was pressure to accept, then the journalist should thank the donor and inform him that he is under orders that he must give his generous gift to a local charitable organization or to the local Imam to use as he saw fit. The Radio Sawa manager thought this might work. As for my thoughts about Muntandar al-Zaida, the now notorious shoe-throwing journalist, it may be understandable, I said, but it's also unprofessional. More ominously, I was asked what I thought would be an appropriate punishment. I said that if an American journalist did that, he or she would be fired and possibly charged with attempted assault. Free speech ends where violence or threats of violence begin. But the fact that the journalist is now a hero in the Arab world is not at all surprising.